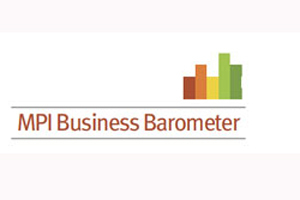 Domestic corporate activity has seen the largest improvement for 46% of respondents in the latest Meeting Professionals International (MPI) Business Barometer. MPI surveyed 1,000 events professionals from across Europe and the US – 57% planners and 43% suppliers - as part of its bi-monthly study of the industry in February. A total of 12% of respondents reported shorter lead times continued to be a trend, down from 16% in the last MPI Business Barometer in December 2010. However, overall, events professionals were optimistic about a recovery in 2011, with 80% of European respondents and 84% of their US peers predicting better business conditions in the coming months than in 2010. Meanwhile, an interest in sustainability is increasing, according to the report, while demand for virtual elements to events is on the rise. This demand for hybrid or virtual events is attributed to increases in travel, food and beverage costs, social and political instability, and extreme weather conditions. In January, MPI's Futurewatch 2011 study - which surveyed 450 events professionals from 20 countries - forecast an 8% increase in the number of meetings to be held this year, and a 5% increase in the average meetings and events spend.